Sea Palms Postelsia are very abundant on rocky shores exposed to the surf. They live in the high to mid tidal zones north of Morro Bay, California. We offer Sea Palms in both small and large sizes. 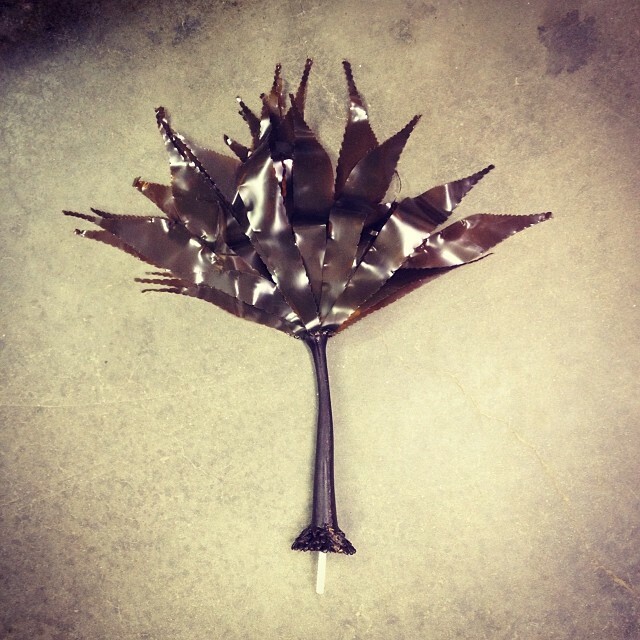 The large Sea Palm has a 14″ (35 cm) stipe with 40 blades that range from 8″ (20 cm) to 12″ (30.5 cm) long. The approximate size of the entire large plant is 26″ tall. The small Sea Palm has a 10″ (25 cm) stipe with 32 blades that range from 8″ (20cm) to 12″ (30.5) long. The entire small plant is approximately 22″ tall. A holdfast is included as part of the plant and a threaded nylon rod extends from the bottom for anchoring. The rod is 3″ long and 0.5″ in diameter.